My go-to recipe when I am throwing a dinner party and I know I need to feed a lot of people, but have a gazillion other things to do. THIS is the recipe that I make. Look how much fun I had making this casserole on WGN TV! 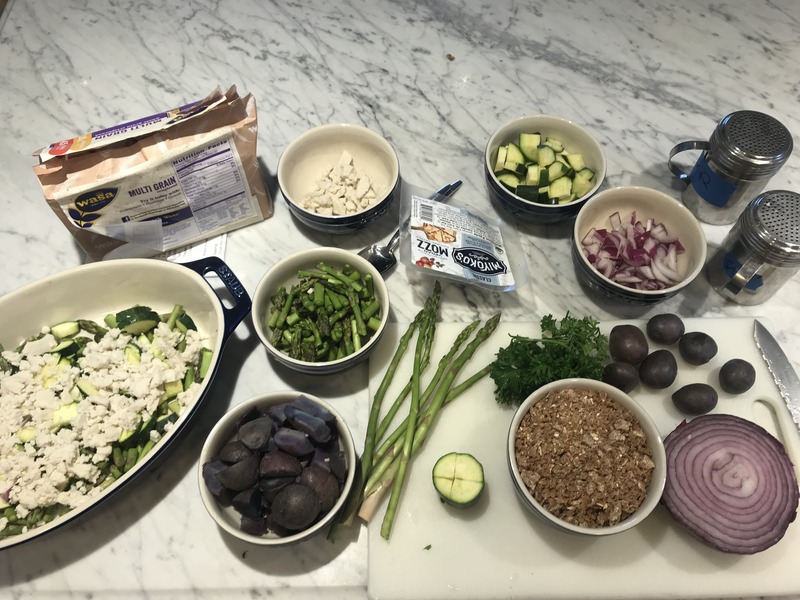 Asparagus, Purple Potato, Zucchini Casserole – I never get as many compliments on dishes as I do on this one. 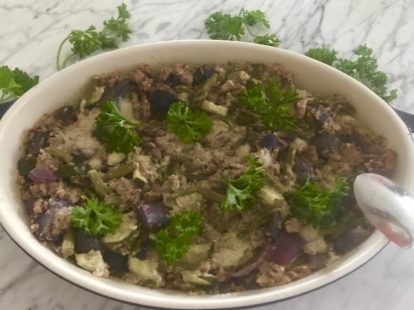 And because I try not to make things hard and often cook according to my gut instincts or what I ahve in the refrigerator, like many of my recipes, this is a super easy one. It is great for Fall and great for dinner parties. You just throw it all in a dish and bake. What could be easier than that? This recipe was actually born from the fact that I had things in my fridge that I didn’t have a plan for and I didn’t want them to go bad. So I threw them all together. BOOM! 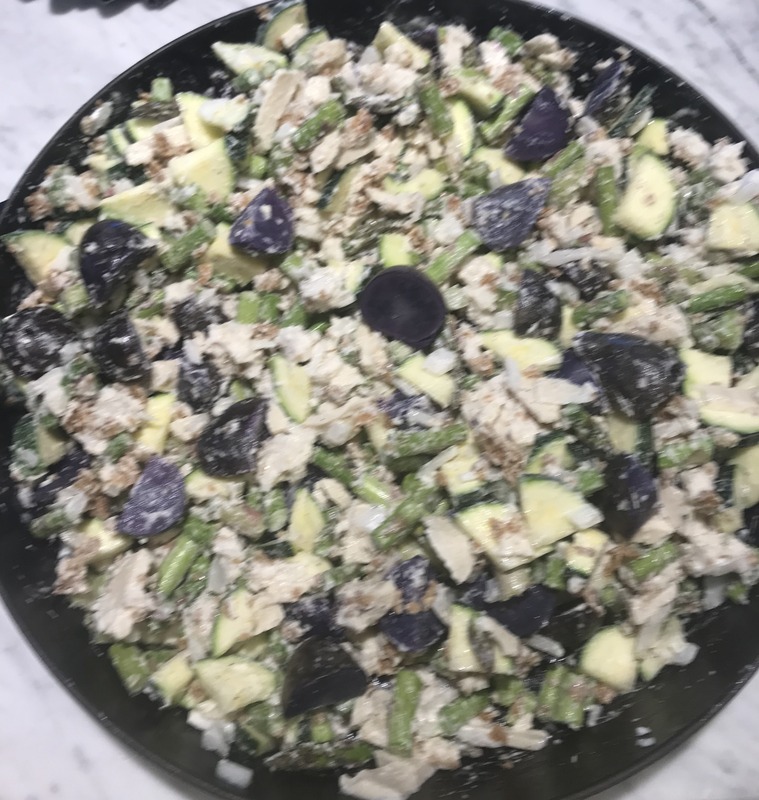 Asparagus, Purple Potato, Zucchini Casserole. Anyone can do it! Separately smash two Wasa multigrain crackers and stir in to mix. Take out and stir in .5 cup vegan mozzarella. Put parsely on top…Serve hot. ENJOY! Peanut Butter, Strawberry, Banana Ice Cream!